Blogging is not as easy as thoughts in your mind and translating it through writing. When you create a blog, you are targeting an audience, audience that will read the blog you wrote and if possible share it and let others read it. If blogging is as easy as expressing one's emotions or thoughts, then what is the sense of others reading blogs. What readers would want to read is factual information, or something that can satisfy and feed their questions, inquiries or their interest. They will not waste their time reading non sense, especially if they have no much time to spend and they know they have a lot of reading material options online. When you create a blog, your goal is to get as much target market as you can. There are too many blogs around the internet, thus getting a spot on the interest of viewers may not be as easy as you want it to be. Something that you need to know, almost everyone is interested to read blogs related to current affairs. Creating a blog to be interesting and inviting should be connected with something that is currently in demand. 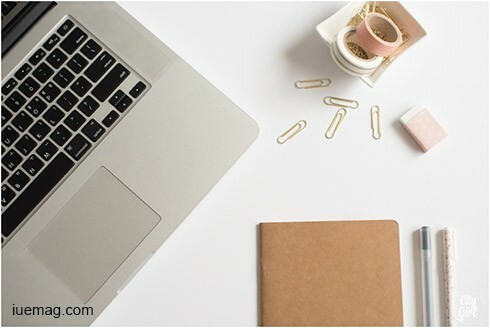 Connecting the information of the subject of your blog to what is currently hot or in demand is a good way to get the most number of traffic possible. People will search for topics on the internet where they can relate more. Make use of the current topics being discussed in the social networking sites, it can be the latest trend, fashion, etc. these will give you better chances of getting the most number of viewers, blogs related to current affairs or hot topics are definitely catchy. Copy pasting is definitely an NO! Sneaking a peak to other blogs will give you a better idea of what is readable and which are not. Reading blogs will give you better ideas of writing styles and the like. It is not all about the topic discussed, it can be how the blog was written and composed. Putting your feet in the reader's shoes will give you the better idea on how to execute things more effectively. If you see the blog interesting, then it can be interesting for some as well. Now, all you need to do is to innovate. You should always capitalize with unique ideas and styles, but getting few tips and tricks from others who are successful doing the activity, not limited to blogging, can be a good idea. Reading blogs created by others is not to copy their style or use the same topic, it is more of getting ideas that you know will help you further as you create your blogs. Your job does not stop after you posted your blog, it will continue up until the time, the blog is viewable online. Reading comments, may it be in your favor or not, will help you improve your blogging abilities. You are creating blogs for readers to appreciate, thus getting their inputs is necessary. Their favorable and unfavorable comments will make or break the blog you create, nevertheless, you cannot please everyone but you can definitely improve by reading and considering both negative and positive information they share. Getting direct comments from your target readers will give you the better edge to improve yourself. If you will just consider, people will post their comments because the article or blog has an impact or left a mark, if none, then why to place a comment. Checking your blog comments from time to time and possibly responding to each of the comments posted will not just give a chance of catching their attention but as well as building a rapport that you are actually looking for. The better the blog, the more chances you can get comments, and that should be a goal you need to consider best. Making use of podcast together with your blog is a real good idea. The podcast can generate viewers that you cannot reach. The interest they have with the podcast is the same interest they can give to your blogs. Make it relatable and something that will feed their desire of good read. Blogging series in podcast will give you the wider range of additional traffic, viewers that are currently into podcast. What they download, what they access and check out in podcast can be a great avenue for you to use to get a good number of viewers. You can never deny the traffic that people with influence, in social networking sites, can offer. Reaching those you cannot reach is something that they can help you reach. You can gain trust easily if your blogs contain blow by blow factual information. Getting feed of information from someone who can provide you with facts is a good start. Blogs are not all base on what the writer feels, thoughts or experiences, it also has factual information and they are written with well-searched facts. You can always reference information or claims on your blogs from people who are in the know or certified to give their inputs. Backing up your claims with names that are in authority to provide advice can make your blogs a whole lot interesting and inviting. Never under estimate what people in the know can offer your blogs. There is nothing more rewarding for writers than reaching their target viewers and getting the most number of traffic they can possible reach. The ratio of people writing blogs versus those who are just reading them may not be as far, thus trying to reach the maximum potential of your blogs may not be that easy. Your creativeness, influence and strategies are all needed to work together to make sure that you can reach your ultimate goal in the world of blogging. Start a blog with a bang and you will surely end it with a blast.